How do I get my license back after it's been suspended? 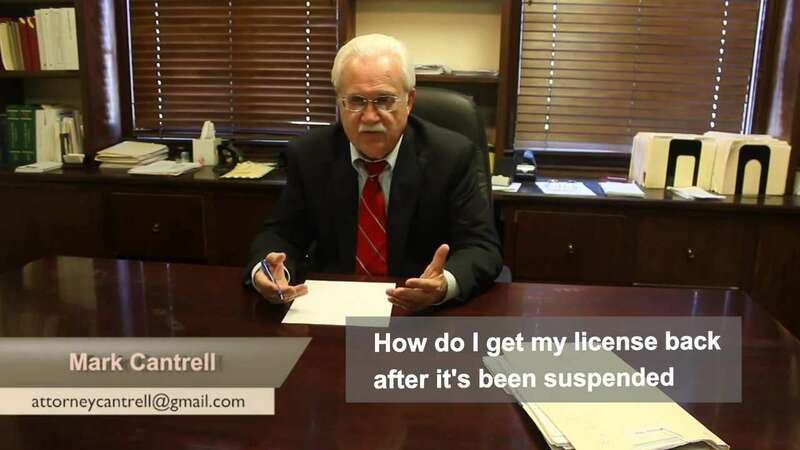 Attorney Mark Cantrell answers a question from Michael about getting his license back after a DUI. This video explains the two separate suspensions you will receive for a first time DUI. Under what circumstances does the DMV have jurisdiction to give you a suspension? How long will your license be suspended for? What determines how long the second license suspension will be? Can I get my license back sooner? When can I get a restricted license after it has been suspended?